Advanced Surface Movement Guidance and Control Systems (A-SMGCS) are typically associated with their implementation at major airports with complex layouts and high traffic volumes. It is a common misconception though, that reasons to implement safety enhancing systems such as ATRiCS TowerPad® system exist only at larger airports. The ATRiCS TowerPad® captures all clearances and provides warnings when any conflict is identified. From a safety perspective the need prevails at smaller airports alike. Despite basic layouts, safe operations at smaller airports have their own day by day challenges, as the following example demonstrates. After a rather calm morning at Basel-Mulhouse (EAP, France) it was shortly before 10:00 a.m. when three aircraft requested startup clearance in close sequence. Runway 15 was active at EAP at this time. Due to fine weather with low wind speeds and different directions of travel, two of the three aircraft requested a departure from runway 33. After initial departure clearances for both aircraft from runway 15, both aircraft subsequently received the approval for their desired departure from the northbound runway 33. 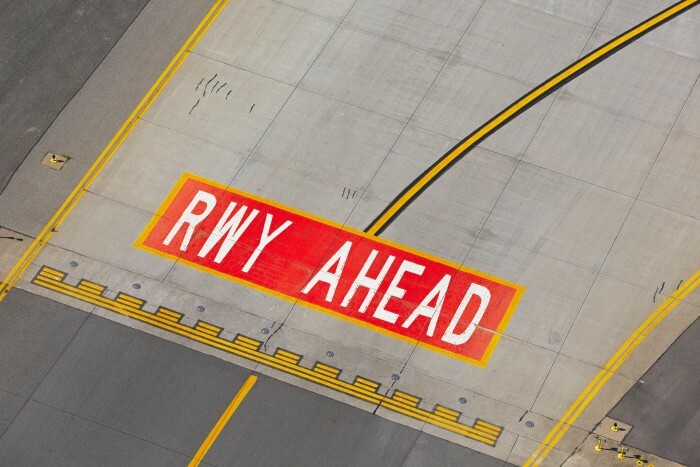 During single runway operations, departures in opposite directions are common practice. In the present case the sequence of departures was 15, 33, 33. When the first aircraft in sequence – already on tower frequency – received an early takeoff clearance for runway 15, the second aircraft was still communicating with ground control. Some distraction in the cockpit as well as the fact that the third aircraft was also taxiing for runway 33, made the flight crew of the second aircraft believe that runway 33 was active. With no warning mechanism in place, the mental models of the flight crew and the controller drifted apart. Once the second aircraft was transferred to the tower frequency it received a clearance to hold short of runway 33. Misinterpreting this transmission based on his mental model, the flight crew member falsely understood and read back a clearance to line up on runway 33. The controller however did not notice the wrong read back transmission and cleared the way for a highly critical near miss only moments later. Before moving onto runway 33 the crew, in accordance with its mental model, visually checked the approach sector of runway 33. Had any flight crew member checked the departure sector of the runway, they would have been aware of a Dornier Do-238 charging down the runway towards them with a speed near V1. The Dornier flight crew, having noticed the incursion at this point, rotated the aircraft normally and was able to avoid the incursion aircraft by overflying it with about 380ft vertical separation. Lacking any runway incursion warning mechanism, it was only a short VFR traffic communication, but it was able to distract the controller for some brief seconds. Within this time the aircraft had already adversely entered the runway strip. This recent example impressively confirms how crucial the taxi phase is. Despite low aircraft speed and simple workflows, it can be a phase of high workload, requiring simultaneous management of takeoff data, briefings, checklists, cabin status, ground navigation and vital communication. At smaller airports aircraft usually taxi for two minutes only. While short taxi times are in principle desired to save cost they are prone to false perceptions and miscommunication. ATRiCS’ TowerPad® creates and environment of unambiguity for controllers and flight crews. The system has proven to deliver unbeaten throughput performance in arrival or departure movements under low visibility operations (LVO). With its warning and alerting capabilities it represents a rigid safety barrier preventing hazardous situations. Had Basel-Mulhouse relied on TowerPad® technology, this incident could have been prevented.